The BR Beer Scene: Cameroon - Save Your Beer Caps! As expected, there's nothing really exciting going on in the world of beer in this African nation. There are a few large breweries putting out the same typical beers that I've lamented over for the last several nations. 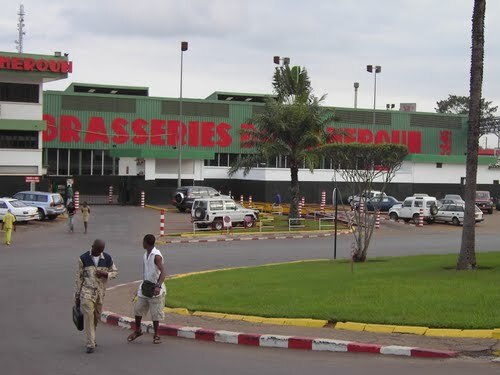 Included in these is the Brasserie Du Cameroon, which uses the French language for their name, one of the nation's two official languages along with English. They produce several of their own beers as well as Heineken, Amstel, and other European standards for the local market. They also bottle Coca-Cola products for the Cameroon market and neighboring countries. After wading through all the reviews on the beer and such, I did come across one interesting link regarding the beer scene in Cameroon, and that was an article on how the beer caps were being used as currency! To sum it up, the two large rival breweries began promotions a few years back with free prizes that could be won, including cars, cell phones, and more beer. The prizes were revealed on the bottom of caps, so caps that were worth more beer became a valuable form of currency, with a winning cap worth about the same as a cab ride! And apparently winnings was common enough to form a beer cap currency. Amazing... if this worked with just any old beer cap I'd be rich! Rich I say! So... keep saving all your beer caps, you never know when they'll be worth something some day. The Bite And Booze post on Cameroon.